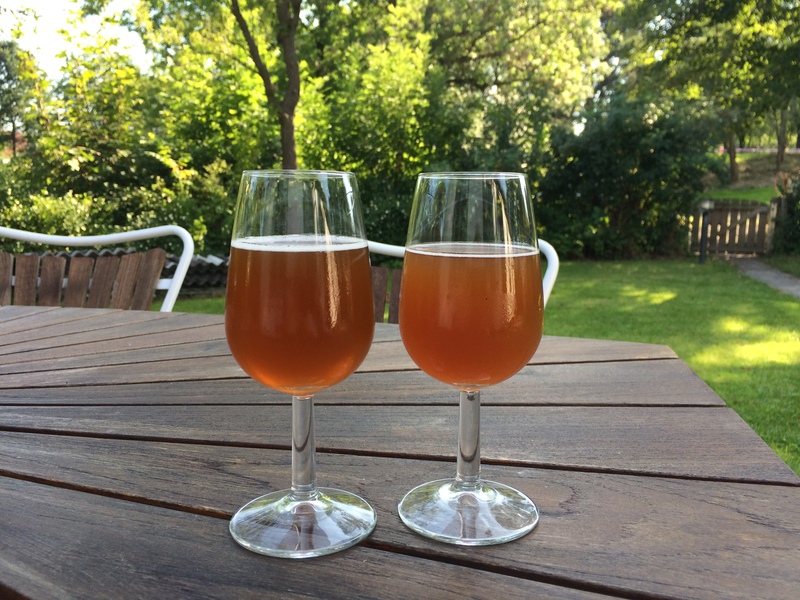 In July, after the DM i håndbryg, I started brewing a new Tripel recipe. I really want to get a very good Tripel recipe as this is one of my favorite beers (of course, coming from Belgium, that is not so weird 😉 ). So I did a little bit of research on the web, looking at different homebrew blogs and also looking through the beercalc.org website to get some inspiration from other homebrewed Tripels. For the sugar I used both light and dark ‘kandijsuiker’, at least the ones I could find in my favorite shop, Maltbazaren. And then of course I needed to decide on the yeast. I looked through quite some recipes and read all the Whitelabs descriptions and decided on the WLP510 Bastogne Belgian Ale Yeast, which is one of their platinum yeast strains and the WLP530 Abbey Ale Yeast. The hop to be used for the Tripel should not be too aromatic, so I used Mittelfrüh. However, as I also like experimenting a bit, I added a little Huell Melon, to get a bit of hop fruitiness. 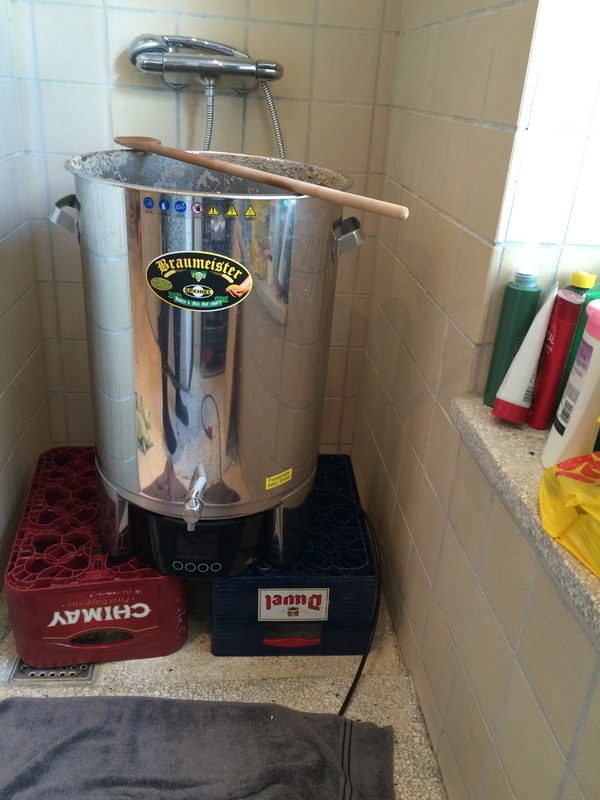 I brewed the beer in my bathroom, as unfortunately the summer was not the best one in July here in Denmark ;-). Actually, I brewed it in our shower (after serious cleaning of course), as this was easy to just clean the Braumeister afterwards :-). After brewing, the wort cooled down until the next day before I added the yeast. The WLP530 did not want to start after 24h, so I added the WLP510 as extra in this vessel. 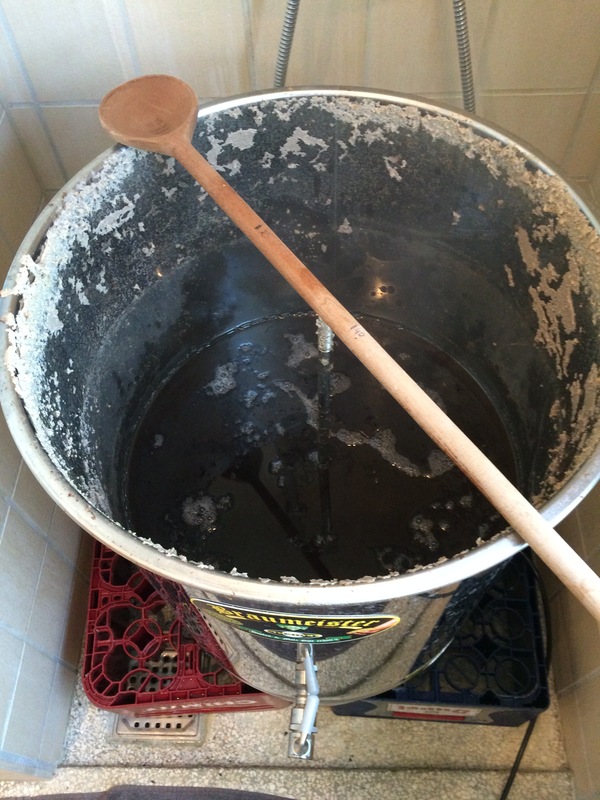 I had two times 20 liter, which was excellent to put in my fermentation cabinet. 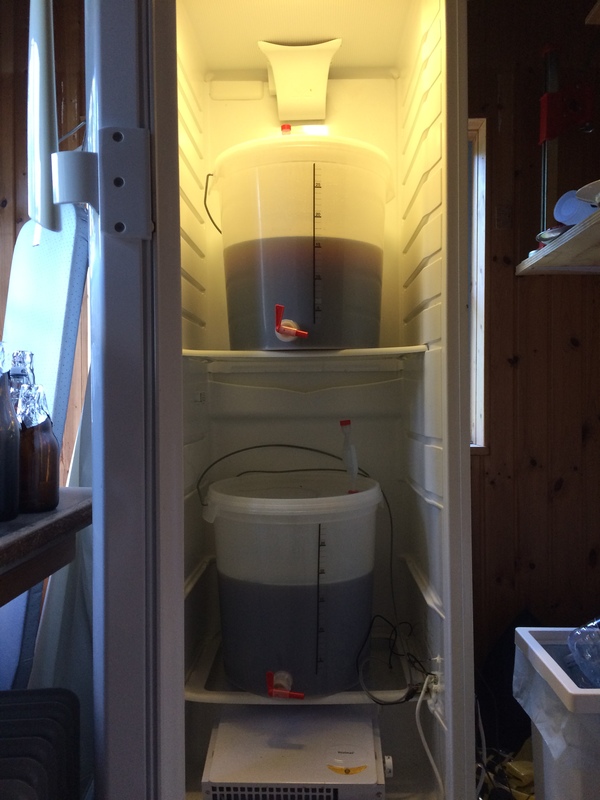 I put the temperature on 22 degrees Celsius and the beer fermented for 14 days. After two weeks more at 4 degrees Celsius I put the beer on bottles and added some extra sugar to referment in the bottle. I added quite some, as I like my Tripel quite carbonated. I added 3g of glucose in a 33 cl bottle, which turned out to be perfect :-). After a couple of weeks, I tasted both Tripels and the WLP510 fermented one was really amazing, very fruity, estery (banana) with a little spicy note (coming from the yeast -> 4-vinyl guaiacol). The 530+510 one was not carbonated enough and tasted a little too yeastie. So the WLP510 is now my favorite Tripel yeast, cheers!